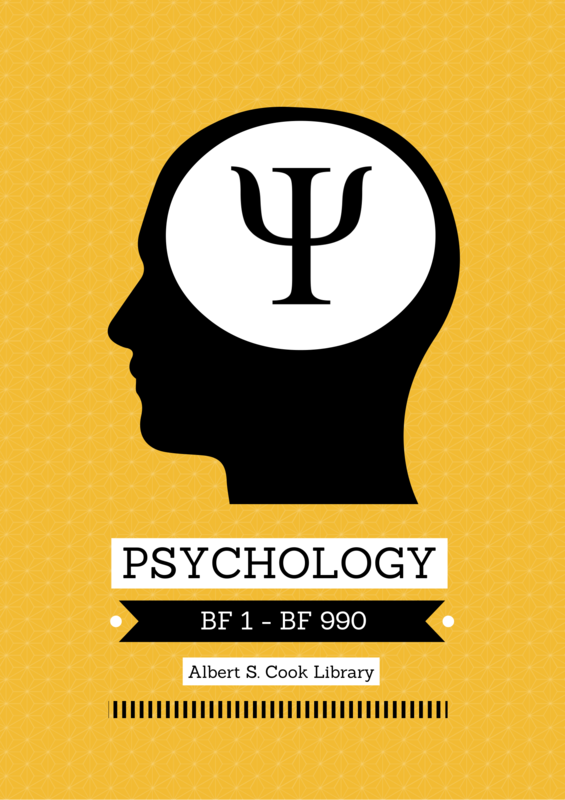 Librarians produce a surprising number of flyers, posters, handouts, signage, and other objects used to instruct or inform our users. While many of these items are utilitarian and just need to get the job done, ideally we’d also like them to look good. Some of us can take advantage of campus multimedia design centers with designers to help bring large projects to life, but the typical academic librarian probably has not taken a graphic design class and may or may not dabble in Photoshop. Although some design-daring librarians venture into Adobe Illustrator, more often that not we fall back to comfortable office applications like Microsoft Word or PowerPoint, making projects look “good enough” in programs that were not built for design work. Recently inspired by sites like Librarian Design Share, I have been trying to jazz up my usual library instruction handouts and collection promotion materials. While I know what I like when I see it and I have spent plenty of time fiddling with projects in Microsoft Publisher, I’ve never developed what you might call the “designer’s eye” necessary to create truly beautiful designs. I signed up for Canva, currently in beta, a few months ago when I first read about it at Free Technology for Teachers, hoping it would push me to overcome some of my design stumbling blocks. Thanks to our latest snow days here on the East Coast, I’ve finally found the opportunity to play around with the site. By providing both pre-fab design templates and customizable objects in one easy-to-use package, Canva is an online service that aims to help average Internet users create beautiful design projects. After signing up for a free account, you can access design templates for pre-sized cards, social media graphics, presentations, posters, blog graphics, Facebook covers, photo collages, business cards, and invitations. You can also create your own design using custom dimensions. After starting a new project, edit your design by choosing layouts, applying backgrounds, and adding text or images using the menu on the left-hand side of the design canvas. You can also search through over one million images, shapes, lines, banners, icons, stickers, buttons, text holders, and so on, or upload your own images to the project. Canva’s drag and drop interface makes it easy to select and drag items from the menu tray to the design canvas, then resize and arrange objects as necessary. You can also adjust the colors of each object on the design canvas, add text, and change fonts (choosing from the 100+ available, with no Comic Sans in sight). Although Canva offers many free images and layouts, the site also includes a large amount of “premium” content (including images, backgrounds, etc.) that you can choose to purchase for your design. Premium objects are offered via a $1, one-time use license. While this means you need to purchase premium objects each time you use them in various projects, the final cost is still lower than purchasing other stock photo options. Completed projects can be shared via social media (Twitter and Facebook). downloaded as an image (PNG file), or downloaded as a PDF. 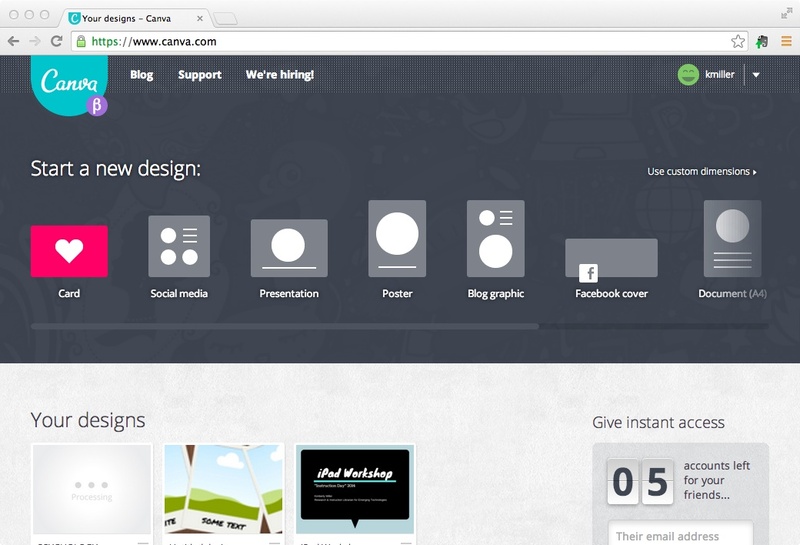 Canva also provides a direct link for the design project, which you can use to collaborate with others on your design. This can be useful for sharing your design with project team members or for sending design prototypes to other stakeholders for input before producing the final product. Although Canva is easy to use, it doesn’t exactly take all of the guess work out of creating beautiful designs. Customizing the colors, arranging objects on the canvas, and selecting fonts still requires some what of a “designers eye” to be truly effective. Canva currently offers five quick, hands-on tutorials that guide you through improving design-related skills, including choosing fonts, using color palettes, and understanding layouts. Each step in the tutorials features a “Learn” section that discusses a design principle, and a “Do” section in which you practice the design skill. Each “Do” section also includes a “Need a hint” button, which links to an instructional video that demonstrates how to accomplish the task. Working through these tutorials didn’t make me a graphic designer, but they did help me understand the basics of what I need to do in order to create better looking projects. Given the large number of templates and pre-defined project types, Canva could be useful for a wide variety of projects in the average academic library. This could include designing library instruction or other workshop presentations, posters and signage, flyers, handouts, and other promotional materials. 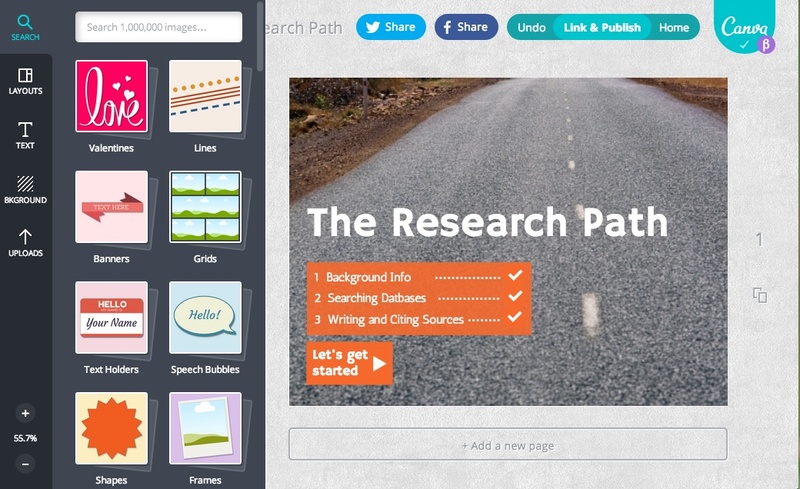 Additionally, as academic librarians become more active in promoting and encouraging visual literacy, Canva could be a tool for students to use during library instruction sessions that promote engaging with and creating visual media. Although Canva does not promise to make everyone a designer, it could be a useful tool for taking the next step in stretching our design muscles. What are some projects you’re working on that could use a little design upgrade?